Theater is an ever-evolving environment that requires a great many resources when it comes to set design, lighting and more. 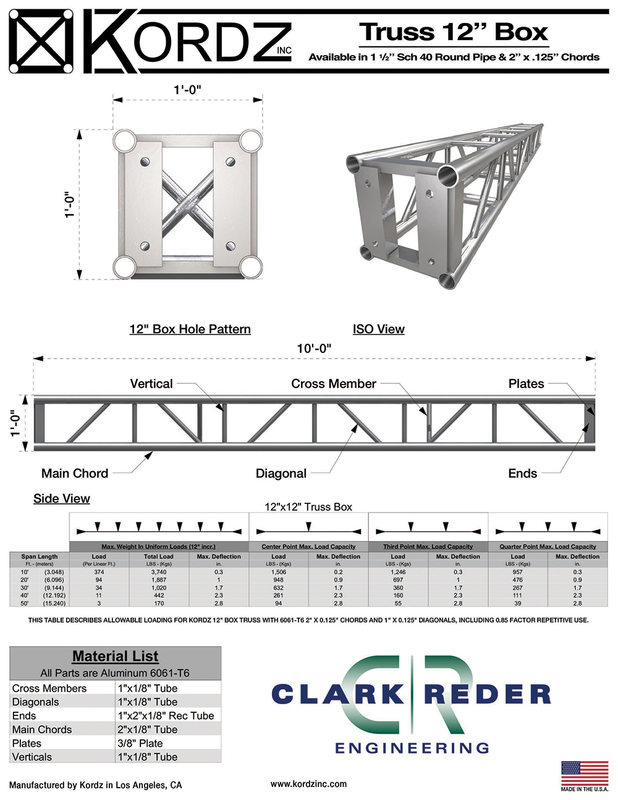 Often, trusses are the crux of a production’s stage and lighting, which means you’re going to need trusses that are fabricated and designed specifically for your application. Kordz, Inc. is ready to help. 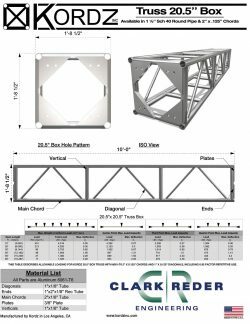 We can design and fabricate a lighting or stage truss in Los Angeles, CA around your production’s specifications, enabling you to put together a set that’s absolutely perfect. And, when your stage and lighting come together right, the performance will follow. It’s our goal to help you put on the best performance possible by giving you the building blocks to set design and lighting. Not sure what kind of truss you need? Don’t be afraid to come to us with unique measurements, specifications or concepts. We’ll translate your needs into a custom-made stage or lighting truss in Los Angeles, CA that’s perfect for your application. We guarantee it’ll hold up for the duration of your production—whether you’re putting on a special show or have a long-running engagement. 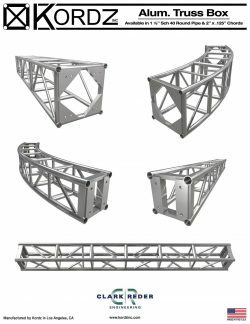 Because we use high-grade aluminum in all of our truss fabrication, you can rest assured it’s up for the job when it comes to set design or lighting. Whether you’re mounting heavy stage lighting atop it or using it as an interactive piece of the set design, count on our trusses to stand strong and do their job unwaveringly. Your production is on a deadline—you only have so much time to rehearse, design the set and practice! We understand, which is why we operate on quick timelines and stock prefabricated trusses. 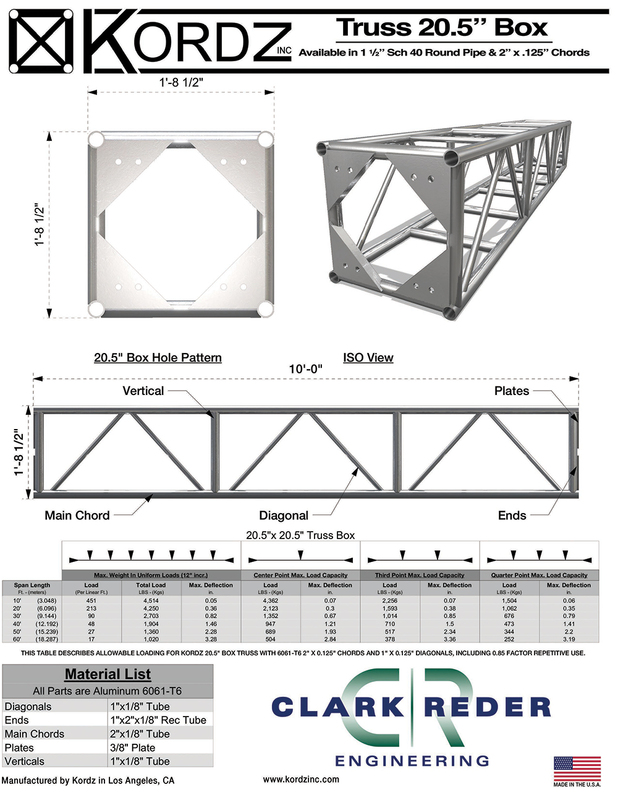 We’ll get you the truss you need without delay! Contact us today at 310-329-3058 or visit our shop today for more information about our capabilities or to inquire about a stage or lighting truss for your next production.